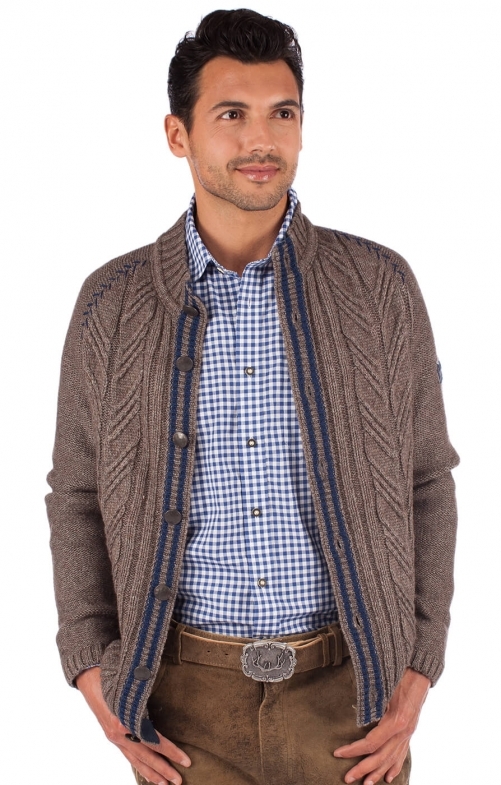 Engadin men’s beige-blue cardigan. If the weather turns a little chilly at Oktoberfest, men can be sure that they will be comfortable and stylish in this beige knit cardigan. A splash of colour is added with the dark blue stripes along the front matched by shoulder stitching, while the row of metal front buttons reflects the traditional Bavarian style to good effect.